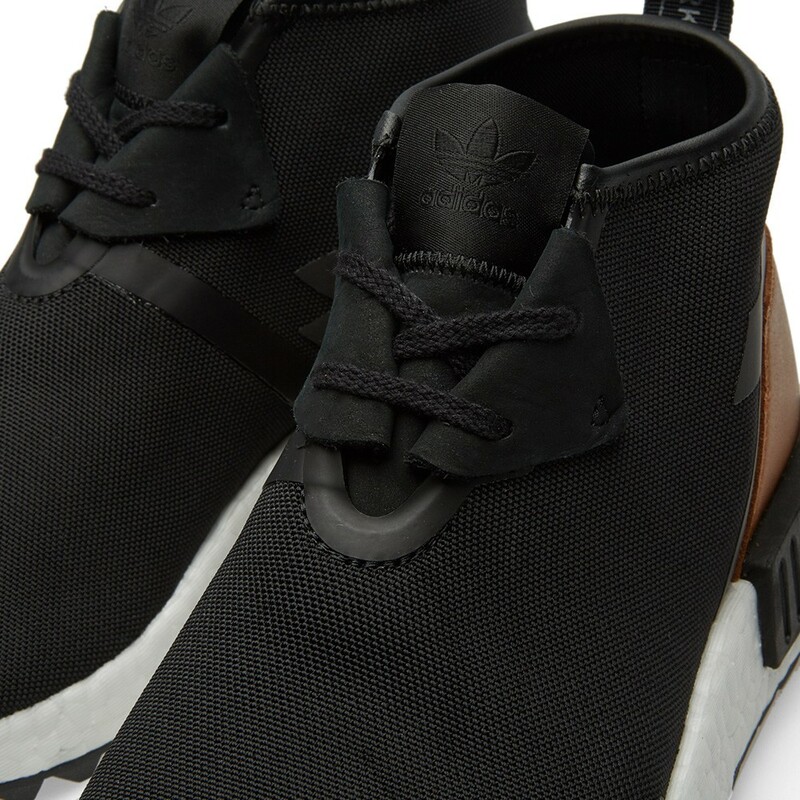 The winning adidas NMD franchise continues to add new models to its range as the current ones continue to sell out. 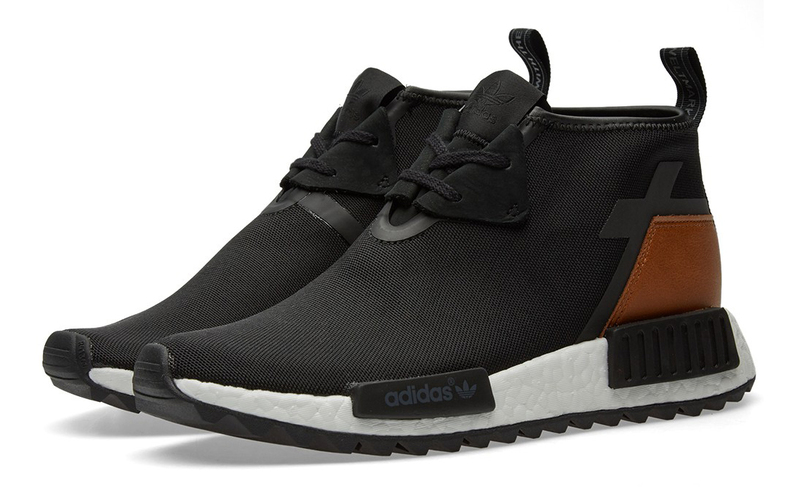 New this week is the adidas NMD_C1 TR in this black/brown colorway. 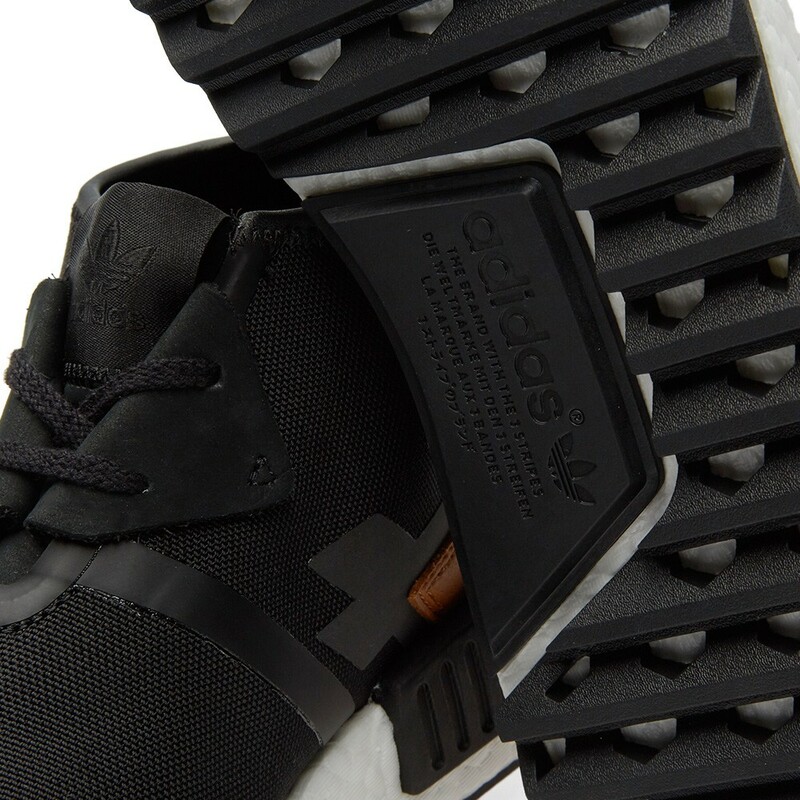 The silhouette is close to that of the adidas NMD City Sock, featuring a Chukka-like height that deviates from the original NMD runner style. 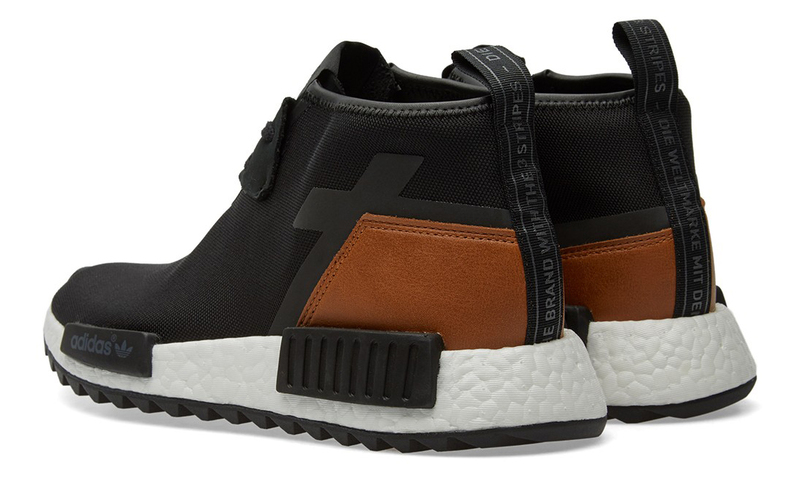 The NMD_C1 TR is set apart from the City Sock via its toothed tooling on bottom and leather accent that gives it a more outdoorsy feel. This debut adidas NMD_C1 TR already released overseas at End Clothing and quickly sold out, but more retailers should be stocking the shoes soon.